When you're looking for a rally-inspired performance car that's also a capable daily driver, there's really no beating the 2015 Subaru WRX. The Mitsubishi Lancer Evolution, known more informally as the Evo, is one of the few other cars in the same class, and it deserves to be looked at. 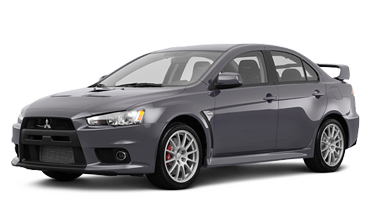 However, when comparing the WRX to the Evo, we think you'll find that the WRX offers more for less money--especially considering that 2015 is the last production year for the Lancer Evolution, while the WRX is still going strong. Keep on reading to find out more; then, head to Carlsen Subaru for a test drive! The WRX and the Lancer Evolution are both sedans that are inspired by rally racers; however, the WRX benefits from continual design upgrades, while the final Evo model has received very few upgrades in the last couple years. 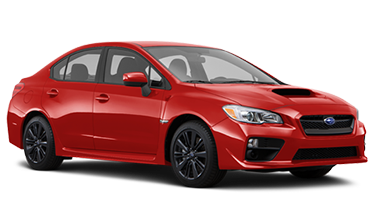 As such, the WRX presents a more modern, powerful look, complete with more prominent hood scoop and dominant front fascia. In addition, while both are known for their performance, the WRX makes a much better daily driver, as well. While the Lancer Evolution has only 93.2 cubic feet of passenger volume and 6.9 cubic feet of cargo space, the WRX has 96.6 cubic feet of passenger volume and 12 cubic feet of cargo space, making your drive much more comfortable in the WRX. When it comes to performance, the Evo might at first look better on paper--but a closer look or a test drive will quickly show the WRX as superior. The WRX has 268 horsepower, while the Lancer Evolution has 291; however, at 3,527 pounds, the Evo is heavier than the 3,267-pound WRX, so the horsepower on the Evo doesn't go as far. The WRX is also much more efficient as it beautifully walks the line between daily driver and rally racer. The six-speed manual transmission of the WRX gives you more precise control than the five-speed manual of the Evo, and the SUBARU BOXER® engine delivers a smoother, quieter ride. When you get behind the wheel of a car--especially a performance car--you want to make sure you're safe. The WRX delivers big on safety, earning an amazing Top Safety Pick+ ranking from IIHS--the best available! While the Mitsubishi Lancer earned a slightly lower (but still impressive) Top Safety Pick rating, IIHS is very clear that this rating does not apply to the Lancer Evolution. And with advanced technological features like available GPS and Harman Kardon audio system, you know you're getting the best with the Subaru WRX. Pick the car that's going to stick around: pick the Subaru WRX.